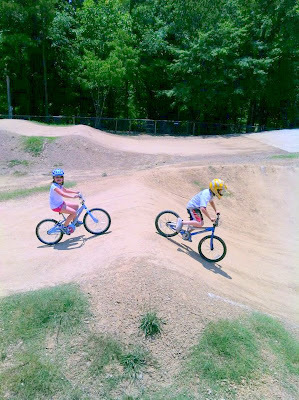 Daddy took Jackson and Brylee to the BMX track at Oak Mt State Park. He said they had a great time riding. He also said Brylee was the best rider out of the two. He said they would race and Brylee would beat Jackson almost every time! We will have to go back and ride again!